Looking for a Nike student discount? As always the Student Discount Squirrel can help you! Firstly, great news, we can confirm that there is an official Nike student discount of 10% off. To get it for online purchases, verify your student id and you’ll get a Nike promo code UK to use straight away. For full terms and conditions and more info simply check out chapter 1 of this guide. 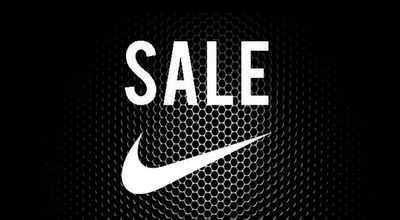 The next big savings tip for you students is a fab Nike mid-season sale with up to 50% off! Massive. There are some great reductions on Air Max trainers, Air Jordans, hoodies and tees – this is one of the best times of year to bag a bargain with nearly 2000 items included! With some of these you can also apply your Nike student discount on top of this – amazing! Nike trainers and sportswear clothing is second to none; whether it’s cutting edge Air Max trainers, CR7 Chapter 6 football boots or kit for football, tennis or running, Nike is leader of the pack for students and in fact everyone. Nike smacks of quality and style and at SDS we love them. But let’s face it, they are an expensive purchase and for many a luxury one. However, never fear, our official SDS Nike Student Discount Guide will show you not only if there is a brilliant Nike student discount, but other ways to save even more money including standard sales, discounts, a unidays Nike discount, seasonal offers and more. Simply keep reading our guide below for more money saving tips. There is a contents box below so if there is a specific section that interests you then click on it and you’ll smoothly scroll to that section. 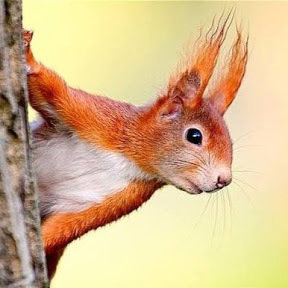 So never fear students, the mighty Squirrel is here to explain all and to get you the top Nike offers and discounts available today. Is there a Nike Unidays, NUS Totum or Student Beans Discount? Go to this special page on nike.com. Follow the simple instructions and verify your student status via UNiDAYS. You’ll be issued with a unique Nike student discount code UK for 10% off. Purchase your fantastic trainers or sportswear at nike.com. Now there are a few terms and conditions regarding the Nike student code, the main ones being according to the Nike website is – ‘Discount is not valid on gift cards, Apple products or NikeLab products, cannot be applied on Nike.com/launch or any previous orders. Code cannot be combined with any other offer or discount code. Discount does not apply to delivery charges.’ So please bear that in mind. As mentioned there are limited periods throughout the year that the Nike student discount increases to 20% so keep your eyes peeled for that. We’ll be updating our savings section here, so please do check back before buying. But did you know there are ways to get even bigger Nike discounts than the standard reduction? No? That’s what the Student Squirrel is here for and why we are one of the fastest growing student discounts site in the UK. Check out our Nike savings section at the top of the page, which is regularly updated with the latest big sales, Nike promo codes and offers. The Nike sales page has all the latest savings which are usually better than 10% so always worth a look. This amazing sports brand has big sales throughout the year such as Black Friday, Christmas and Easter. Check out our sales chapter for further details. If a big one is coming up you could save big! There is tons more advice on how to save though, so keep on reading! 2. Is there a Nike Unidays, NUS Totum or Nike Student Beans discount? The student discount market is big business these days and Nike is no exception. However it can be tricky finding out exactly how to get your student discounts and what the best ones are. What with NUS, Unidays and Student Beans; these are the 3 big student discount schemes in the UK – where do you start? And the Squirrel gets asked a lot whether there is a specific Nike student discount through these schemes. So while you’ve been down the gym, or the pub the Squirrel has been doing the hard graft and researching. And here are the results! Does Nike do a Unidays Nike discount? So the great news is that Nike is signed up to the Unidays student discount scheme. 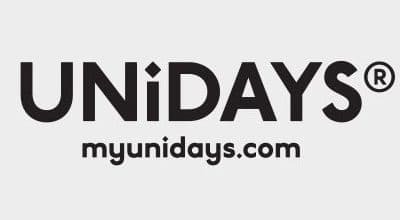 To get your Unidays Nike 10% code, head to this page on nike.com, follow the instructions and you’ll be getting a fresh unique Nike Unidays promo code. Awesome we say. Now don’t forget to check out our savings section to see the latest ways that you can save and any available Nike promo codes which could enhance your savings. Does Nike offer a NUS Totum Discount? There is no NUS Nike scheme as of 2019. HOWEVER, NUS students are entitled to the 10% through UNiDAYS Nike discounts as described above. Kerching! Are there Nike Student Beans Discounts? Nope, there is no association between Student Beans and Nike. Usually you would be able to get a unique student discount code to use at the online check-out but there is none. Make sure though that you do check out the offers page though as all the deals should be located there. As we’ve shown you so far there is an official Nike student discount code. But sometimes students can get even bigger discounts through promo codes that Nike release to everyone throughout the year. We update any in our fabulous savings section so make sure you take a look. The great thing about the voucher codes is that you don’t need NUS id to prove your student status. They are available to all. You just shop on the site and when you come to the online checkout, just pop in the discount code and you’ll receive your special saving. Easy peasy, just the way we like it here at Squirrel Towers. The best way to get the biggest discounts at nike.com is actually in the sales. Did you know that there was a Nike sales page actually on the website and last time we looked there were 1677 items included? However, there are certain times of year where the biggest sales happen. Check the dates below as if one if coming up it might be best to hold on. We also keep our squirrel eyes open so any sales will be in our fabulous savings section. Take a look and see how much you can save. This is a huge time of year for Nike and they go big in their Nike Black Friday sales. Expect lots of trainers, football boots and clothing to be included, so if you know someone to buy it a gift for it’s a great time to save. We’ve also seen them offer a 20% voucher code over cyber weekend. The Christmas sales actually start before Christmas now. That’s because after the delivery date has passed this amazing sporting brand can start their reductions online. They usually begin with up to 50% off, but as we go past boxing day, the discounts become bigger and more items are included. If you’re looking for something in particular and it’s in the sale then get it, as popular sale stock can sell out. Around Easter time and the middle of March there is a big mid-season/Easter sale. Lots of trainers are included and again up to 50% off is not uncommon. Don’t forget to combine with your Nike student discount. During the summer months there is a big Nike sale with some big reductions. It is typically around the middle of July but as it progresses to August there are some further reductions. Nike produces and sells a range of sportswear, but its first and primary focus remains track shoes. Now broadened into shoes and trainers for a range of sporting activities as well as just fashion and daily use. All marketed and sold under the Nike brand, you’ll no doubt have heard of sub-brands in their footwear range including Air Jordan, Air Force 1, Nike Dunk, Air Max and Foamposite. Other additions to the collection include pilates, dance and yoga studio foot wraps, iD customisable trainers, golf shoes and boxing boots. Footwear aside, Nike’s apparel features both sport-specific garments, wider activewear items and leisure clothing. A staple of every gym, fitness and day-to-day wear wardrobe, Nike pieces have become go-to clothing choices for many; including Nike Elite baseball socks pulled up for hip hop and pop punk fans, the Nike Cortez shoe amongst American youth fashion, and leggings amongst British teenagers. This broadens the brand’s appeal out to all, even if individuals aren’t particularly keen fans of sport and fitness, and in 2017, Nike announced a plus-size range of up to 3XXL on over 200 of their products across all ranges. Celebrity endorsements across marketing campaigns have included musicians, actors and television presenters alongside mainstream sportspeople and athletes. As a product side-line (albeit not a small one in an organisation this size), Nike also produce a range of sporting equipment. This includes garments for professional athletes such as combat sportswear and football shirts, but also footballs, weight gloves, gym bags, yoga mats, golfing equipment, aquatic activewear, racquets, bats and balls, hats, sunglasses and drink bottles. Perhaps most recently, this has included a foray into technology with a joint branded Apple Inc product to monitor runner’s performance via a radio device in the user’s shoe to link with their Apple products such as an iPad, iPhone and Apple Watch. 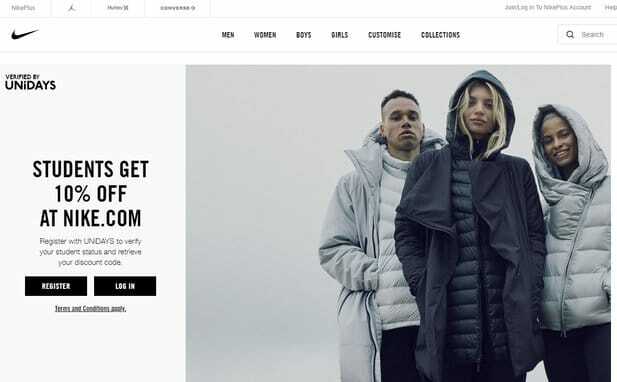 A brand as big as Nike are often in the press and media for both celebrations and controversies besides but are also frequently rated highly for their climate-friendly policies and recycling projects. The company’s Reuse-a-shoe program has been running since 1993 and benefits both the environment and under-privileged communities by collecting old disused shoes and recycling them into fresh apparel and the plastic surfaces for sports grounds and facilities. Nike was originally known as Blue Ribbon Sports and was founded for athletes by athletes; by University of Oregon track enthusiast Phil Knight and his coach Bill Bowerman back in early 1964. Initially, the business focused just on acting as a US distributor for Japanese shoes (now ASICS), and started out selling shoes from the boot of their cars! When their friend Otis Davis won an Olympic medal, the pair made the first Nike shoes for him and by 1971, Nike made the move to only sell its own products rather than those from ASICS. The now infamous swoosh logo was created the same year and has been used ever since. Growth was swift for Nike, and within their first decade they already held a 50% market share of the US athletic shoe market – unprecedented popularity for a brand of this type. 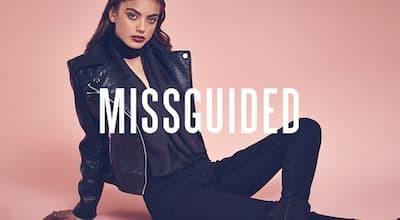 Since, the brand focused on expanding its ranges and its regions for global development and in 1990, the first retail store opened in Portland, Oregon. Over the years since, retail outlets have opened worldwide and the company has acquired many other smaller brands including Converse, Hurley International and Umbro; and is in the midst of a share buy-back program estimated at over $12billion. The future’s looking bright for Nike… and we have no doubt they’ll just… do it! So there it is, our official Nike student discounts guide is over! And here is a handy summary of how you can save when buying those buzzing trainers. Nike is the largest supplier of athletic shoes in the world! Their famous trainer is the Nike Air! It is famous for it’s swoosh logo. It’s headquarters are in Beaverton. It has more than 700 stores worldwide. Nike ranked in the top 3 of companies in the world for climate friendly companies in the world.